IHS Markit has just released the statistics on the global market share of different inverter brands in 2017. IHS Markit is the leading source of information, insight and analytics in critical areas that shape today's technology ecosystem. More than 150 countries around the globe rely on the deep market insight that IHS provides. The analysis from IHS is highly efficient with no bias toward any companies, thus it is definitely trustworthy. In 2017, the global PV installation market reached 105 GW, and GoodWe supplied 3.2% which is about 3.4 GW. GoodWe has made a great improvement climbing positions to rank 8th. Why GoodWe was able to enter top 8? 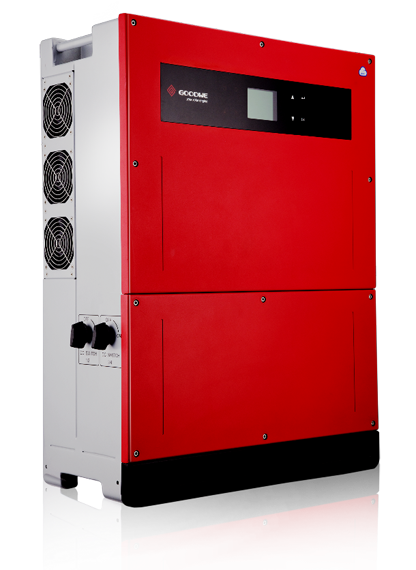 GoodWe inverters are manufactured for durability and longevity making them suitable for indoors and outdoors installation, and also offer high efficiency and class leading functionality. GoodWe inverters are reliable as each component is thoroughly inspected to ensure no issues would occur. In short, GoodWe inverters have proven to be reliable during the past 8 years. Where there is problem, there is GoodWe service. We offer 24/7 after-sale service, serving the customer wholeheartedly. Other than having good after-sale service, GoodWe Solar Academy (GSA) also provides expertise and professional custom training sessions on inverter product and PV solution. We can address these issues through our hotline, email and online chat. We always give our finest ability to provide the best service. From a company with 500 employees in 2016, GoodWe has rapidly expanded to more than 1000 with 200 R&D staffs. With about 20% of the employees doing product research and development, we are able to improve the existing products and develop new innovative products. GoodWe inverters have been exported to more than 100 countries, such as UK, the Netherlands, Turkey, Australia, India, Mexico, etc. 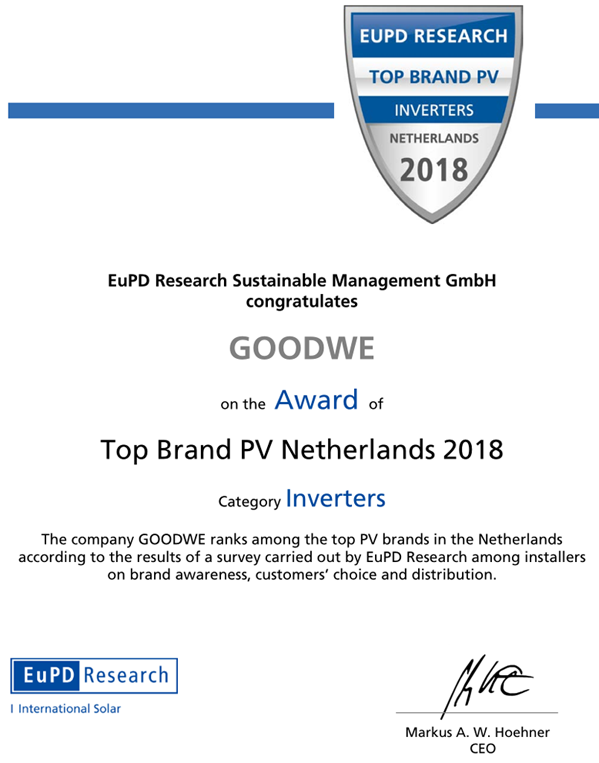 Recently, GoodWe has been awarded the 2018 Top Brand PV seal in the Netherlands for the second consecutive year, which is offered by German independent market research specialist EuPD Research. 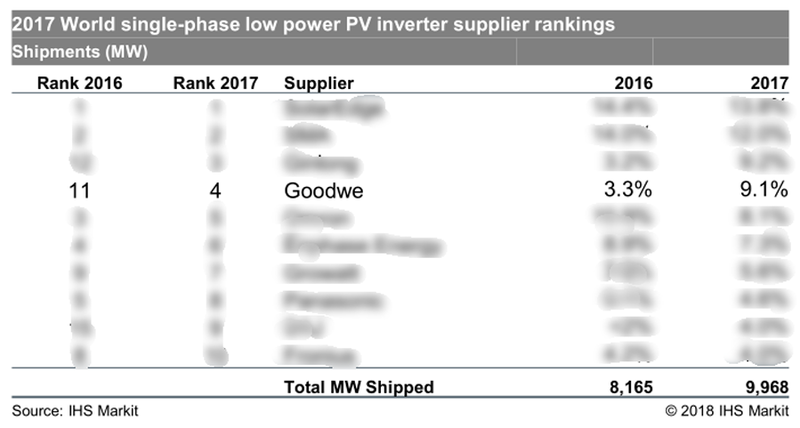 Based on the single-phase low power PV inverter, GoodWe has improved his rank from 11th to 4th in 2017, largely due to NS and DNS string inverter series supplied to both China and international markets. The three-phase low power PV inverter is needed for residential and commercial use. GoodWe has managed to reach top 5 in the rankings and has almost quadrupled its sales in 2017 compared to 2016. GoodWe has built up a solid reputation in the industry with a great potential for expansion. From a small company started in 2010, GoodWe has been able to successfully reach top 10 in 2017. However, GoodWe will continue to work hard to pursuit the first place in the global world rankings.